Like a true fashionista that she is, Rihanna made a statement in all-white ensemble at the Louis Vuitton Menswear Spring/Summer 2019 show in Paris. She completed her look with a transparent duffel bag from the same brand. 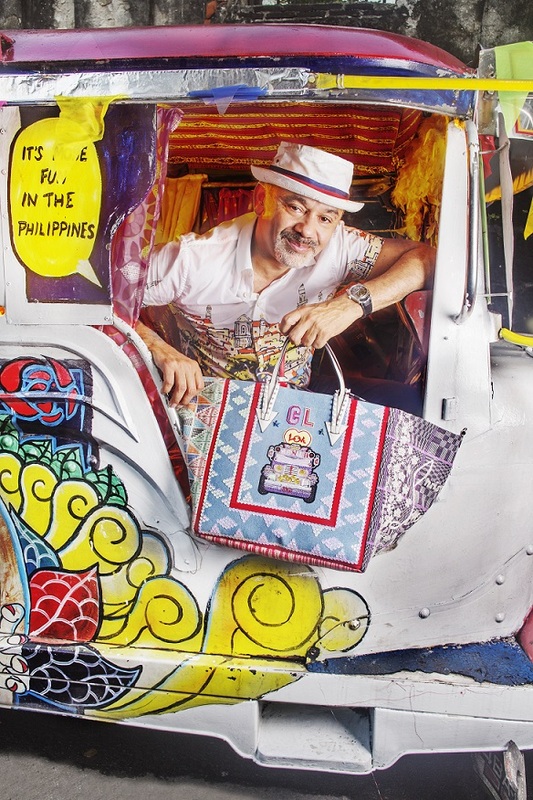 Transparent bags were in during the 80's until the late 90's and two decades later, it's making a comeback. Lupita Nyong'o looks divine in a yellow dress with contrast turquoise belt at the Accessories Council ACE Awards in N.Y.C. She completed her look with dangling earrings, metallic gold sandals and Judith Leiber pineapple clutch. A month ago, the renowned bag designer Judith Leiber, passed away. She is known for her bag designs that combine unusual shapes and luxurious materials. 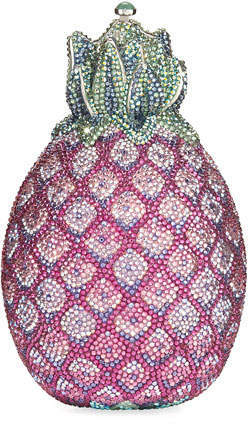 An example of the brilliance and craftsmanship of Judith Leiber is this pineapple "Hilo" clutch that is fully covered with Swarovski crystals. This design is one of Leiber's most expensive collection with a whopping $4,995 tag price at Neiman Marcus. This is also available in black. Katie Holmes was in attendance at Roger Vivier's #LoveVivier book launch in NYC wearing a floral dress, multi strap sandals and of course a Roger Vivier shoulder bag. 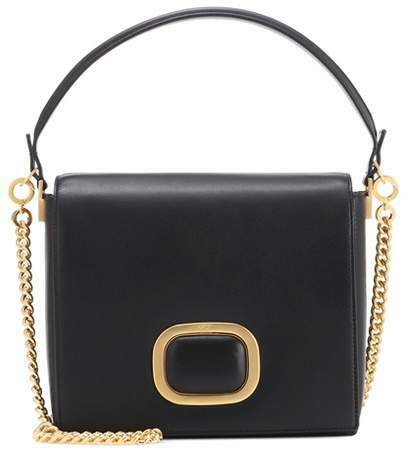 Roger Vivier "Madam Viv" shoulder bag, $2,650. Katie's "Madam Viv" shoulder bag features metallic gold chain link strap, top leather handle and metallic gold buckle detail on the flap. The chain link strap is removable so you get two looks in one.